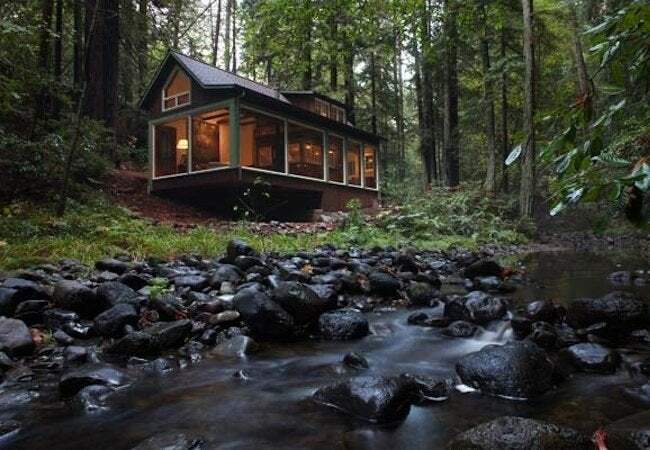 A glass-walled addition to a California cabin affords a jaw-dropping view of the surrounding woods and adjacent creek. In California wine country, a house-hunting couple struck upon a cozy, cedar-shingled cabin. Encompassing 960 square feet, the home sat nestled in a grove of trees, just a stone’s skip removed from Mark West Creek. 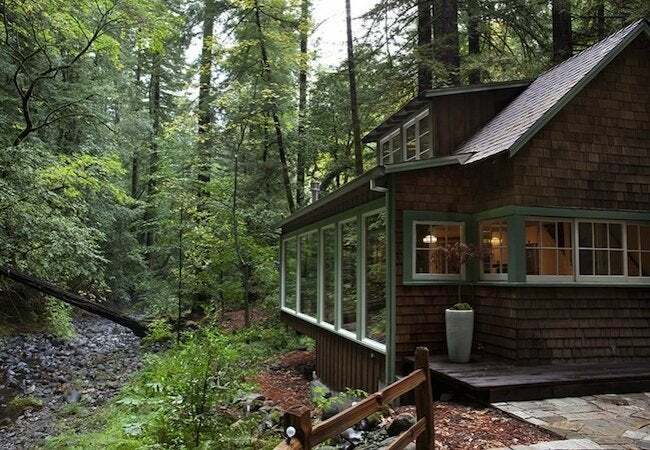 Taken by the location and the many modest charms of the cabin, the house-hunters decided to buy the place, fully aware of its main design drawback. So before getting too comfortable, they brought in Sonoma-based architect Amy Alper to help devise a solution. Built in the 1930s, the cabin originally served as the cooking quarters for a family who preferred to camp on the property. In the years since, subsequent owners had modernized the structure with a bedroom and bathroom, turning it into an all-season retreat. But while the cabin grew in size, it never grew to embrace its unique site. Except for a window situated above the kitchen sink, the layout afforded no views to the adjacent creek, the feature that makes the land so special. For the architect Alper, the challenge was to open up the cabin to its surroundings, without sacrificing the rustic feel, all while heeding a local regulation that limited new construction only to areas previously disturbed. She presented to the homeowners what turned out to be a winning concept. Where a seldom-used, beetle-damaged deck had been, Alper proposed a double-height, glass-enclosed living room addition that would cantilever from the building toward the creek. The new steel-and-glass addition basically wraps around the wood-framed original. What had once been a section of the shingled exterior now divides the kitchen from the living room, imbuing the sleek new space with a sense of the home’s history. 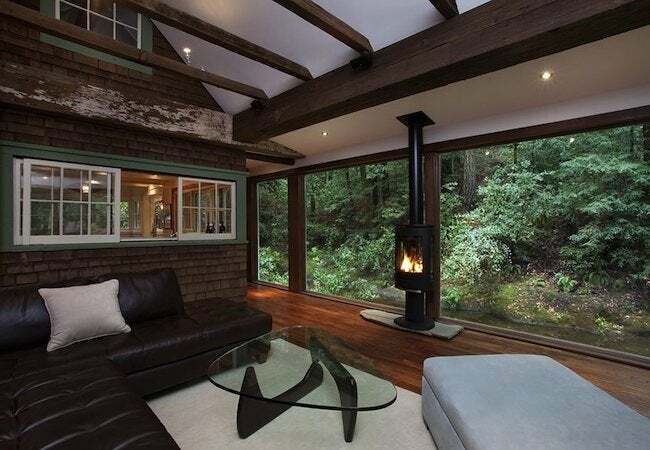 And though the project only added about 300 square feet, the floor-to-ceiling windows manage to erode the distinction between indoors and out, seeming to join the cozy cabin with all the forest acres beyond the glass. For more information, visit Amy A. Alper, Architect.